Damien Sneed’s “We Shall Overcome” wins us over with a refreshingly exuberant concert full of life. 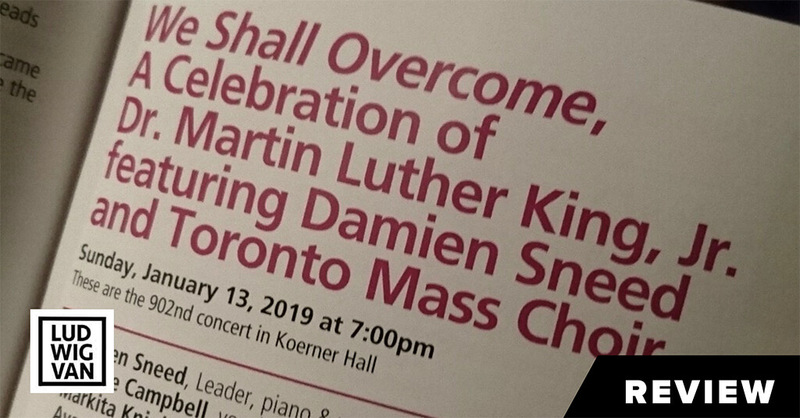 The Royal Conservatory of Music presented “We Shall Overcome: A Celebration of Dr. Martin Luther King Jr. Featuring Damien Sneed and the Toronto Mass Choir. Part of the RCM Trailblazers series. January 13, 7pm. Koerner Hall, Toronto. During intermission, the foyer was buzzing with energy. People were floored by the performance and loving the action of Damien Sneed and guests on stage. After, Anitra McKinney took the stage: “We’re gonna take it nice & easy, but we’re gonna get rough at the end.” We got a sultry jazz intro as McKinney slid into the Tina Turner staple, Proud Mary. And then things got roaring with a racing, soul-powered rendition. The lighting techs had fun at Koerner Hall last night. The tiny little artistic light fixtures that artfully illuminate during stage time were flashing about to Proud Mary at 200+ BPM. Smart Lights, normally stationary in the ceiling were rolling around to the music. This was definitely not your average Koerner Hall experience. Damien Sneed is the vocalist-keyboardist-arranger-composer-conductor-backup-vocals-dancer-everything musician heading up these performances, part of a 36-city tour called “We Shall Overcome.” His presence and leadership were remarkable. Despite headlining, Sneed was a humble musical leader; he knew the musicians and their tendencies. He knew when the key was just right for a singer. He felt the vibe to do another repeat. He took up space to ensure the concert flowed along, but he didn’t hog the program with single piece solos. He’s around, but not the sole giver of music in this concert. Sneed was joined by vocalists different from listed in the program. Chenee Campbell, Markita Knight, and Anitra McKinney were present. They were joined by the unlisted Linny Smith, Alicia Peters-Jordan, and Patrice Eaton. Each was featured throughout the night. Eaton’s appealing mezzo filled the hall without amplification to “If I can help somebody.” Smith’s rendition of Marvin Gaye’s “What’s Going On” was utterly appropriate for his voice and his vocal flexibility displayed when improvising with the ensemble. 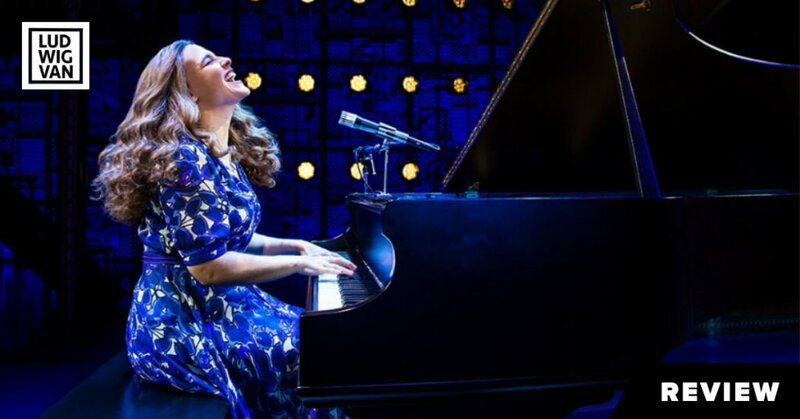 Alicia Peters-Jordan and her lovely, rich, heart-melting voice was inspiring in action, showing ethereal musicality and artistic excellence in her extended improvisation during the first half. Markita Knight led the entire hall to their feet in a moment of worship exclaiming “No weapon against you will prosper.” Chenee Campbell broke hearts and ripped souls wide open with her powerful vocals in the Aretha Franklin version of “Bridge over Troubled Waters.” All of these exceptional performances were hair-raising, heart-pounding moments of exquisite music. The program was referential to history but not a historical program. Sneed improvised on piano while the words of Dr. Martin Luther King Jr. filled the auditorium. More than anything, this was a concert of black musical excellence to exalt and uplift. The power of the ensemble’s improvisation was something to behold. Sneed is a master of improv. 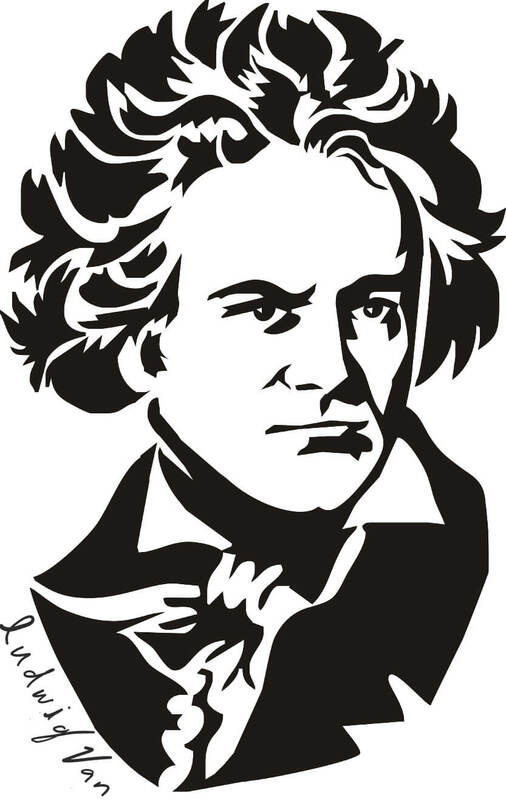 He found lots of opportunities to insert classical idioms on the piano, blending for a second and then moving into styles that flurry through him. The classical training is part of this concert. But he does so much more than counterpoint, augmented chords, and figured bass on keys. The soul through the music rippled off the floating Baillie veil touching every seat in the house. Improvisation isn’t a bunch of random people doing a bunch of random things. To pull it off as well as this, you’ve got to have musicians at the top of their game, working their butts off listening, forming, testing, building, and responding with whatever they have. It is profound to watch and listen to them even if they make it look effortless. 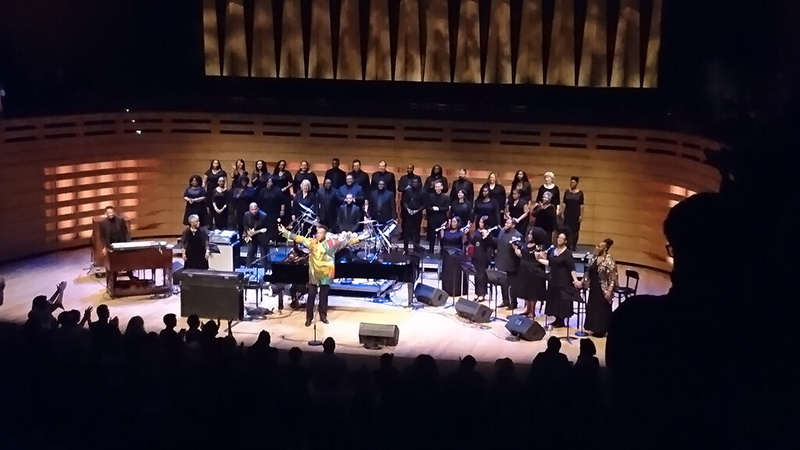 The Toronto Mass Choir, with Artistic Director Karen Burke singing along, were masterful. Sneed even admitted he had been listening to their many recordings for years. The Choir’s generous and bountiful vocal energy was matched with their bright and focused sound. This was a smaller set of singers than the full choir, but an appropriate amount to match Sneed and guests. There were many great choral moments, supporting the main solo lines. From contemporary Wynton Marsalis jazz to Duke Ellington’s classic sound, the choir was ready and willing. But Sneed’s final arrangement of We Shall Overcome stands out the most. Matching the power of all the musicians on stage with a remarkable Amen to finish — the entire concert was refreshingly exuberant. Sneed and team took time to chat with patrons after the performance. And there were kids in the audience who had a chance to chat with them. You could see the sparkle in those kid’s eyes as Alicia Peters-Jordan signed their programmes. 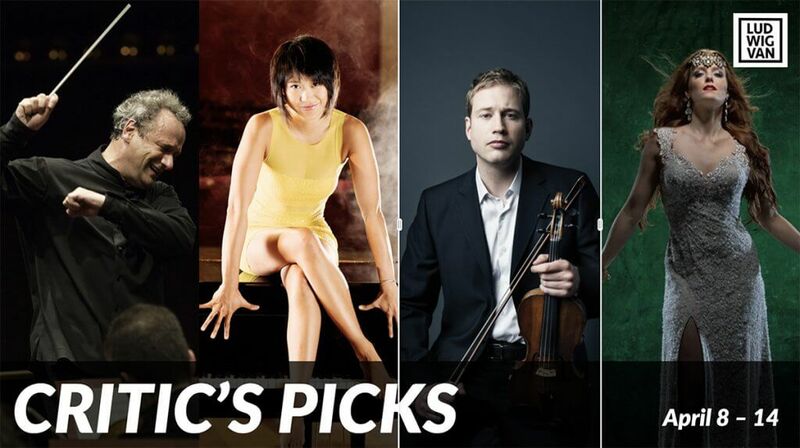 They have never experienced a night and performers quite like this at Koerner Hall. Let’s hope it isn’t the last time. Mervon Mehta opened the concert telling everyone about a friend who brought him to Ginny’s Supper Club, a Harlem music destination, almost one year ago to the date. Damien Sneed and friends were on the bill. Mehta booked them immediately for Koerner Hall. Mervon ought to buy his friend a big bottle of Scotch as thanks for introducing him to the possibility of this concert. Here’s hoping Mehta finds many more reasons to make a kid and this journalist’s eyes sparkle with full hearts of wonder at Koerner Hall. Brian Chang is Toronto-based choral writer. He is an active choral performer in Toronto singing with the Toronto Mendelssohn Choir and Incontra Vocal Ensemble and serves as a trainer with the Institute for Change Leaders at Ryerson University. 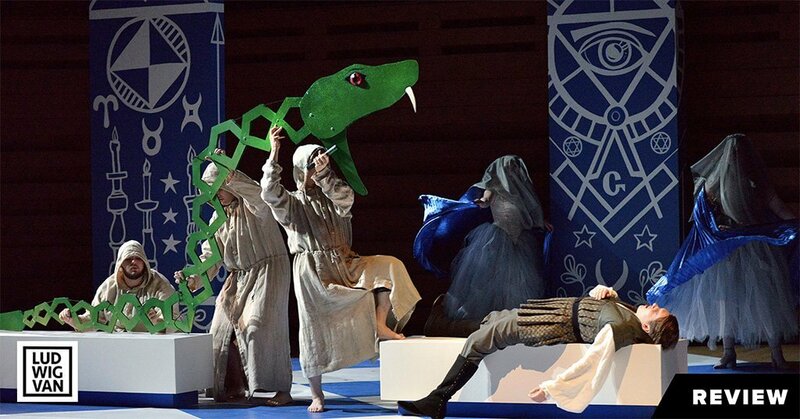 The Glenn Gould School's bare-bones production of The Magic Flute offered intermittent charm but uneven vocal quality.